What to wear in and out of the clubhouse. A smart standard of dress is expected at all times. 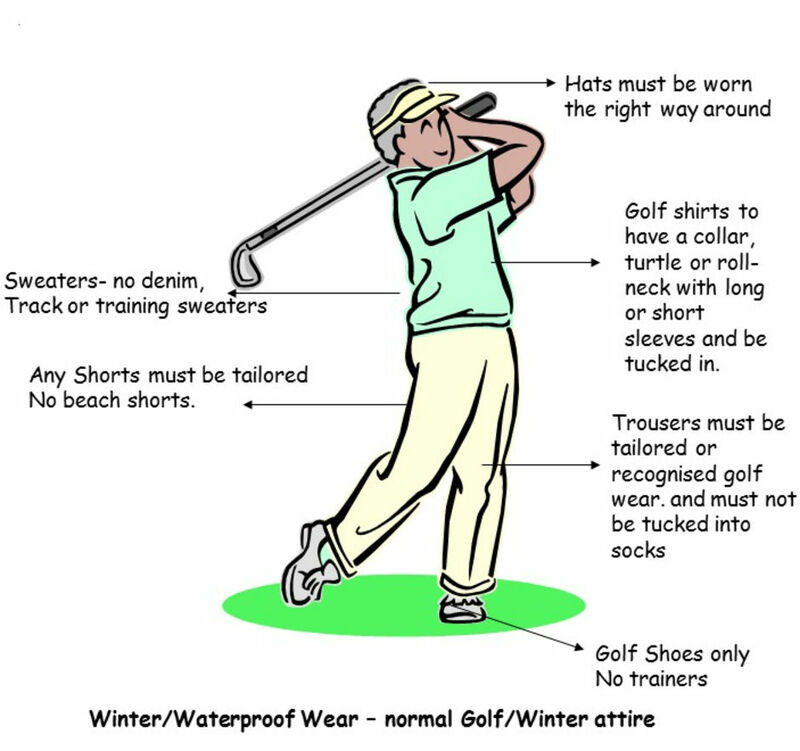 Sportswear other than that designed for golf – e.g. rugby or football shirts/socks, tracksuits etc. Distressed, torn or ripped trousers/jeans of any colour. Outdoor clothing, which includes waterproofs, overcoats, caps. Soiled shoes of any description. Members are reminded that they are responsible for the adherence to this Dress Code by any Guests that they shall bring to the Club. THIS DRESS CODE MUST BE STRICTLY ADHERED TO. 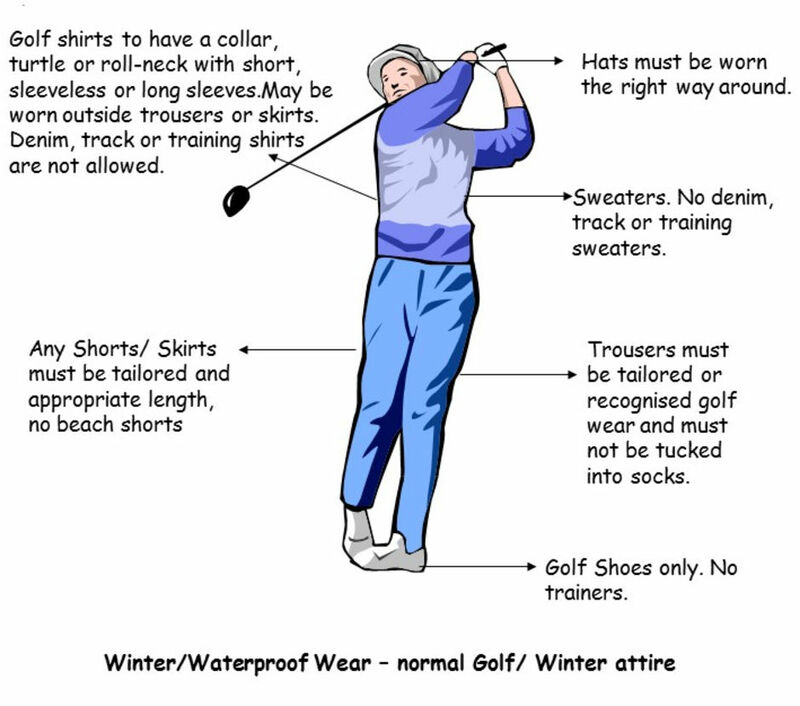 The Dress Code is to be enforced by Members, Officers of the Club and Clubhouse Staff – failure to observe these rules will result in access to the Clubhouse being denied. Please act in accordance with these rules to avert any embarrassing situations. Mobile phones and hand held devices may be used in the Clubhouse but MUST be kept on ‘silent’ and not used to make or receive voice calls.